Motor State Distributing has set the pace for high-performance automotive components for racing, street, and off-road use. We offer wide range of quality auto accessories. A wide selection of braided steel lines in various lengths. All lines come with one straight end and your choice of straight, 45° or 90° on the other end. 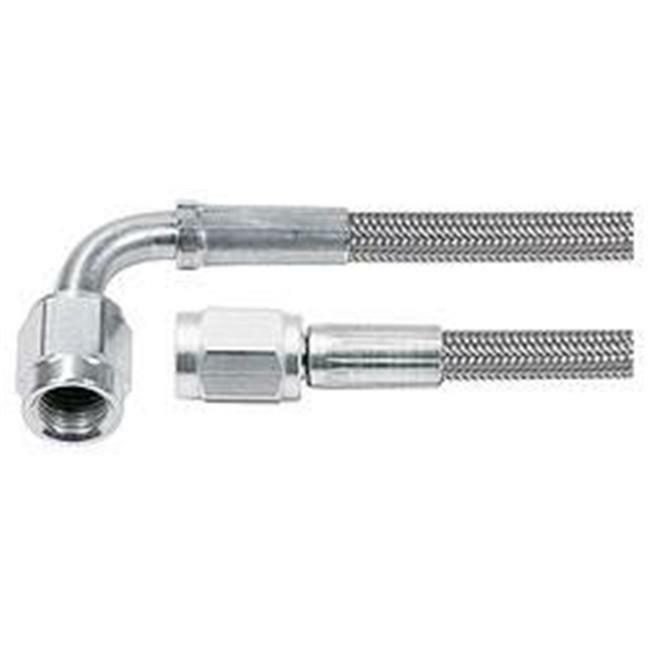 The inner PTFE hose is compatible with all brake fluids. The braided stainless steel outer covering resists abrasion and corrosion. Ideal for use where bending and flexing occur. More durable than rubber hose. Lengths stated are overall end to end including fittings.